1000 Mile Journeys arrange to have an Ulaanbaatar-based guide meet you at the airport/train station upon your arrival in Mongolia. The guide can help you navigate Ulaanbaatar, can travel with you to your accommodation, and can show you some of the city’s sights. 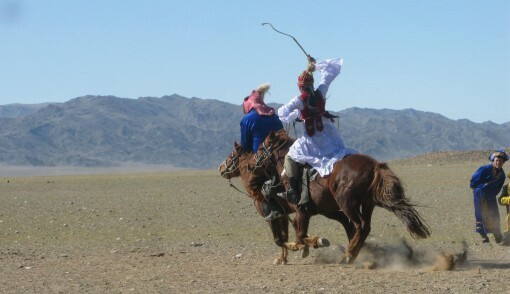 Furthermore 1000 Mile Journeys can also help you explore more of Mongolia than just the West. We are more than happy to help extend your sightseeing of our beautiful country with additional journeys before or after your trip out West. 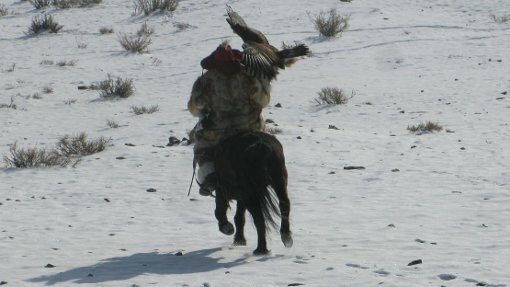 Authentic eagle-hunting is only done during the winter months when the snow covers helps the birds spot fleeing prey – it also when the prey have thick winter coats that are used to make warm clothing. 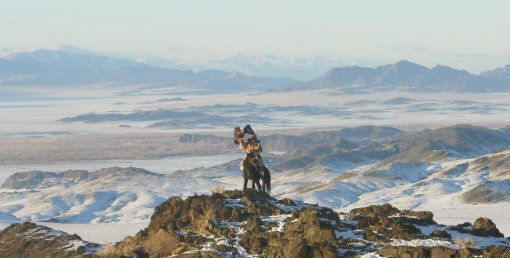 After the first snow, the hunters ride out in search of game on horseback, wandering amidst the rugged landscape holding their eagles on their arms. The hunters usually take young boys with them to help flush out the game. As soon as an escaping fox or marmot is sighted, the hunter sends his eagle into the air in pursuit of the quarry. The bird then sizes up the target before swooping down in one long but swift strike, falling right on the spine of the escaping animal. The bird catches the prey with steel talons and waits for the hunter to finish the animal off. While such hunting does result in wonderfully thick furs to make warm clothing, the hunt is not done for financial gain. 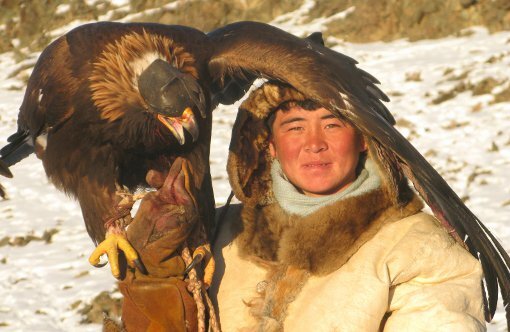 Hunters take great pride in having clever, quick, and valiant eagles. 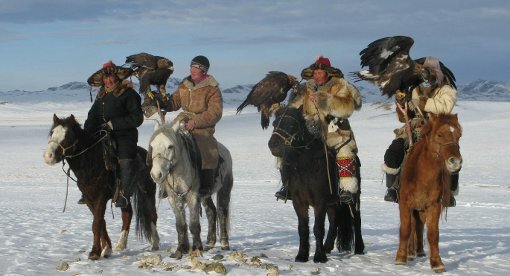 During this traveling adventure, you will get to experience the thrill of the hunt alongside these Kazakh nomads and their magnificent golden eagles. 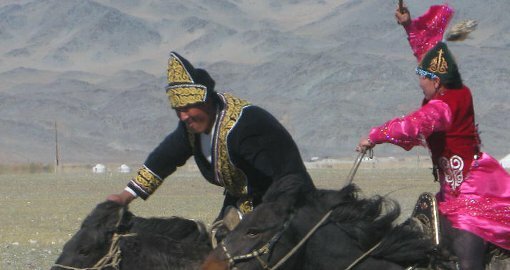 This journey will lead you far into the mountainous landscape of Bayan-Ulgii where you will witness firsthand a unique tradition that has survived for centuries in this remote corner of Central Asia, all while experiencing wonderful Kazakh hospitality. 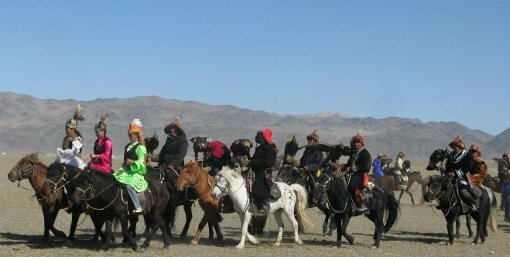 1000 Mile Journeys will arrange to have an Ulaanbaatar-based guide meet you at the airport/train station upon your arrival in Mongolia. 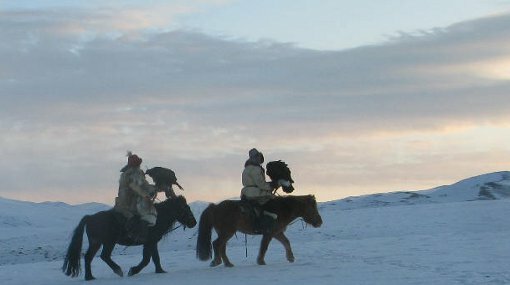 The guide can help you navigate Ulaanbaatar, can travel with you to your accommodation, and can show you some of the city’s sights. 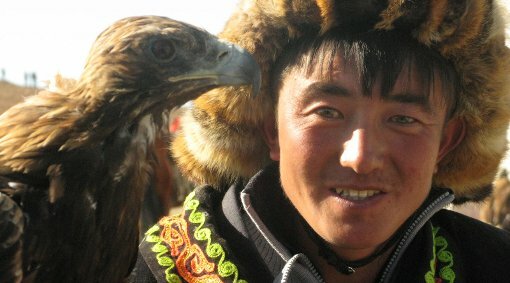 Furthermore, 1000 Mile Journeys can also help you explore more of Mongolia than just the West. We are more than happy to help extend your sightseeing of our beautiful country with additional journeys before or after your trip out West.